Incredibles 2 scores 11 Annie Award nominations! It’s a little hard to believe that awards season is very nearly upon us! 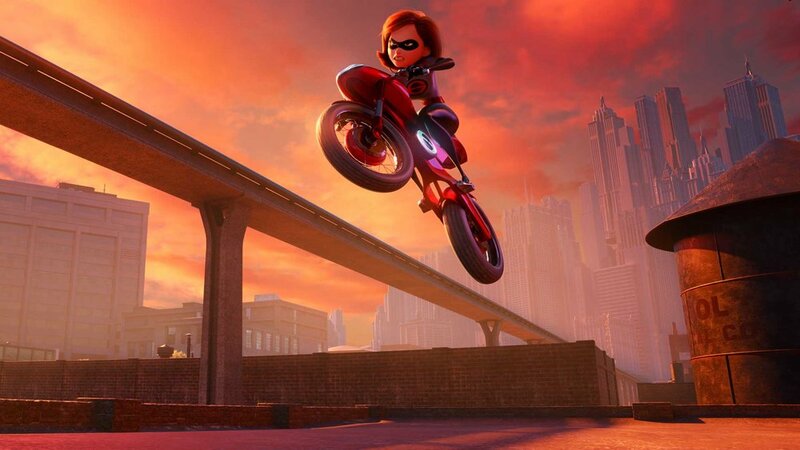 The 46th Annual Annie Awards, which honors achievements in animation, released its list of nominees today, and Incredibles 2 has been nominated in nearly every category for animated feature. Take a look at the list below. Note: Kelly and Rubio were each nominated separately, so the film received 11 nominations in total. Congratulations to Brad Bird and crew for their well deserved nominations! Pixar’s production designer Ralph Eggleston will also receive the Winsor McCay Lifetime Achievement Award. Adam Burke, Pixar animator who passed away earlier this year, will also be honored with the June Foray Award. The Annie Awards will be broadcast on February 2, 2019. A huge congratulations is in order for all the talented Pixar employees who helped make Coco a reality – it took center stage at the Annie Awards ceremony last night by picking up 11 trophies! You can view the full breakdown on the Annie Awards site. Amongst those accepting the trophy for Character Design was Daniela Strijleva (who created this incredible concept art for Héctor and his many disguises). Anthony Gonzalez, at only 12 years old, won the Outstanding Achievement for Voice Acting award for voicing the charming, kind-hearted protagonist Miguel. Adrian Molina was amongst those credited for not only the writing award, but also the music and directing awards. Cars 3 was also nominated for 2 awards (Best Animated Feature and Outstanding Achievement for Animated Effects in an Animated Production) but failed to pick up any trophies, with Coco really shaping up to be the stand-out Pixar movie of 2017 (or indeed the stand-out movie of 2017). The next big awards ceremony will be The Academy Awards – exactly one month away (4th March 2018) – in which Coco has been nominated for Best Animated Feature and Best Original Song. We have a lot to say on the subject of the Oscars so stay tuned! As always, we’d love to hear your predictions. In the short time since Coco‘s release, it’s already made a huge impact on the world, earning significant praise from fans and critics alike. It’s hardly surprising, but incredibly gratifying, that Coco has come out on top with the 45th annual Annie Awards nominations. Coco received an impressive 13 nominations, including Best Animated Feature and Outstanding Achievement for Music in an Animated Feature Production. It even picked up a nomination for voice acting after Anthony Gonzalez’ spectacular performance as the protagonist Miguel, making him the youngest nominee in this section! Cars 3 also received 2 nominations – one for Best Animated Feature, and one for Outstanding Achievement for Animated Effects in an Animated Production. The Annie Awards is an annual event recognising achievements in the animation industry. The winners will be announced in their awards show on February 3rd, 2018. Congratulations to all the hard-working and dedicated staff that have worked on all of the nominated works! Yesterday the nominees for the 44th Annual Annie Awards were announced. Like every year, the Annie Awards are a celebration of all the hard work and fantastic accomplishments that are achieved in the animation community. So many different fields within the medium are honored, such as Character Animation in a Video Game, Storyboarding in both Feature and TV Production, Voice Acting, and even Best Student Film. There are so many unsung heroes of the industry that it’s inspiring to see everyone come together to honor the work that has been done. The awards have also been known to be a huge predictor as to what films take home the pivotal Golden Statue otherwise known as the Oscar. Pixar landed a brilliant 4 nominations in crucial categories. Finding Dory was nominated for Best Animated Feature, Piper got the honor of being nominated for Best Animated Short Subject; while Finding Dory racked another 2 nominations in Character Animation in an Animated Feature Production and Storyboarding in an Animated Feature Production. A lot of top quality films have been released from all of the major studios this year – so it will be rather interesting to see which production wins. Regardless, a massive congratulations to all who were involved with animated projects this year. Each film, TV show, or game released only opens up the doors to more possibilities. It’s truly exciting to see how animation continues to grow year after year. “Duelyst,” Powerhouse Animation Studios, Inc.
Loteria “Night Shift,” Passion Pictures Ltd.
“The Venture Bros,” Episode: Hostile Makeover, Titmouse, Inc.
“DreamWorks Trollhunters,” Episode: Becoming, Part 1, DreamWorks Animation Television; Character Animator: Mike Chaffe; Characters: Blinky, Aaarrrgghh!! “Counterfeit Cat,” Episode: 28 Seconds Later, Tricon Kids & Family and Wildseed Kids; Art Director: Raphaël Chabassol; Character: Full cast: Max, Gark, Betty, etc. Annie Awards, Awards, Monsters University, Toy Story of Terror! For a complete list of nominees, head over to the Annie Awards website. Check back on February 1, 2014 for the winners. ‘Brave’ Up For 8 Annie Awards! With the new year swiftly approaching, awards season is finally kicking into gear; Disney recently began a for-your-consideration campaign for Brave, and now the film has received its first award nominations at the 40th annual Annie Awards. La Luna was nominated for Best Animated Short Subject last year, hence its omission – Partysaurus Rex, however, is nowhere to be seen. Since Brave was a solid, but not stellar success with critics, it’ll be interesting to see how it fares against this year’s strong competition. 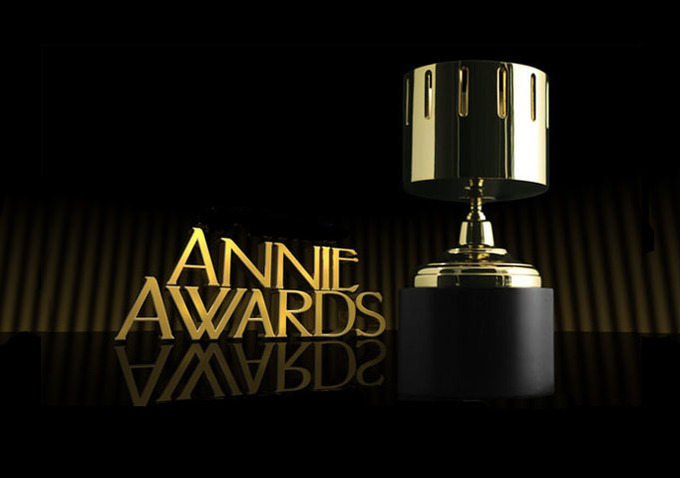 Check back after the Annie Awards ceremony is held on February 2. After almost four decades as a loyal sponsor, The Walt Disney Company has withdrawn from the Annie Awards and ASIFA, its parent organization. Today’s announcement comes from Walt Disney and Pixar Animation Studios President Ed Catmull: "We believe there is an issue with the way the Annies are judged, and have been seeking a mutually agreeable solution with the board." Concerns arose due to ASIFA’s questionable policy; anyone can get a membership, and in turn, could skew the vote in what is meant to be a representation of the animation community’s views. In other words, the Annies are not truly an industry award because they can be easily bought out. To avoid controversy, we won’t directly mention DreamWorks’ policies related to the Annies. This also means that we won’t be covering the 38th annual ceremony as it is unlikely that Toy Story 3 will be eligible to compete. Should Disney/Pixar have withdrawn from the Annies? Up at the 37th Annual Annie Awards! Wins Best Feature and Best Director! Up has reclaimed what many regard as last year’s monumental and unwarranted let down with two top wins at the 37th Annual Annie Awards! Pete Docter was named Best Director by ASIFA-Hollywood for his latest film which also took home Best Feature for Pixar! "It has been a great year for animation." said Docter as he accepted animation’s highest honor. And he’s right — more on that below. • William "Bill" Reeves was also awarded the Ub Iwerks Juried Award by none other than Pixar President Ed Catmull for innovation in animation! Although Up was nominated nine times and won what most would consider the top prizes, Pixar Animation Studios‘ latest still wasn’t awarded the most statuettes of the night. In fact, two other excellent animated films, Laika’s Coraline and WDAS’s The Princess and the Frog, went home with three awards each. Like Docter said, 2009 was a year filled with wide success in animation, so it’s not surprising that individual achievement prizes went all around recognizing diverse mediums from stop-motion to hand-drawn. As far as studios go, Walt Disney Animation took the cake with six wins; three for ‘Princess’ and another three for Prep & Landing. DreamWorks followed closely behind with five wins from a wide variety of media including their sole feature film of 2009, a couple of holiday spin-offs and a TV show. But the most excitement is sure to come straight from The Walt Disney Studios which, combined with Pixar and WDAS, now has eight more Annies to celebrate! What do you think about the 37th Annual Annie Awards winners? Do you agree with the diverse picks? In your opinion, who should/shouldn’t have won?